The Association also honors local 4H participants that win the Natural Resources - Forestry competition each year. A trophy, in honor of our past editor of many years Walter Peaslee, is awarded to these 4H winners. 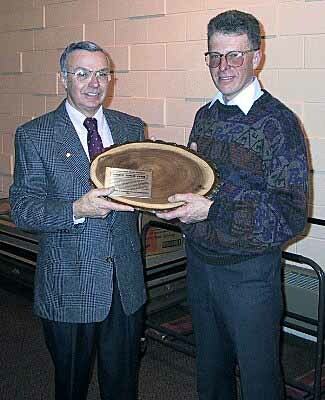 Lastly, NIFA has cooperated from time to time with the Illinois Forestry Association and the Illinois Tree Farm Committee to honor forest landowners who have managed their forests continuously over many years. 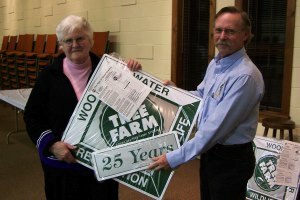 These people have been presented with Illinois Tree Farm signs that indicate their 25-year or longer dedication to forest management.